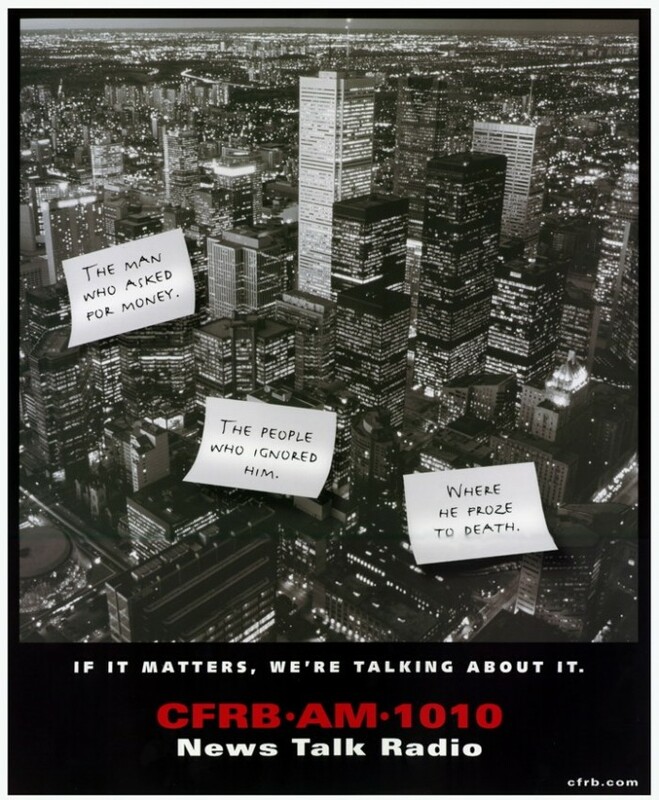 Sometimes you get lucky in advertising. 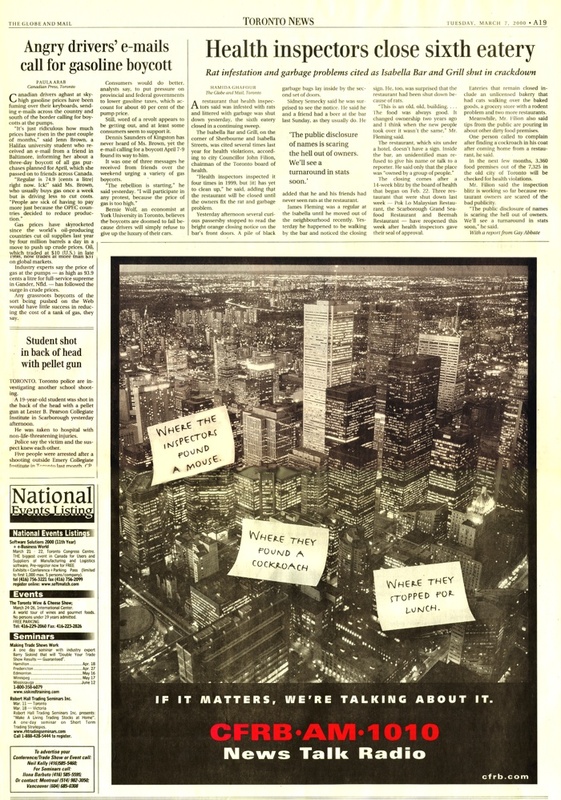 Of the 3 ads that ran, the Health Inspector ad ran right below an article about Health Inspectors investigating Toronto restaurants. 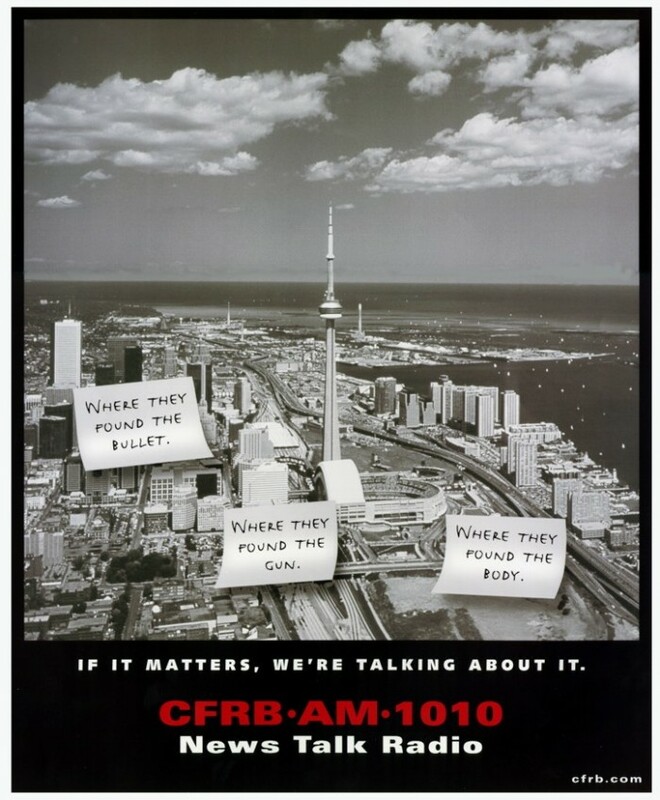 CFRB digs the details and connects with the things that happen in the city. 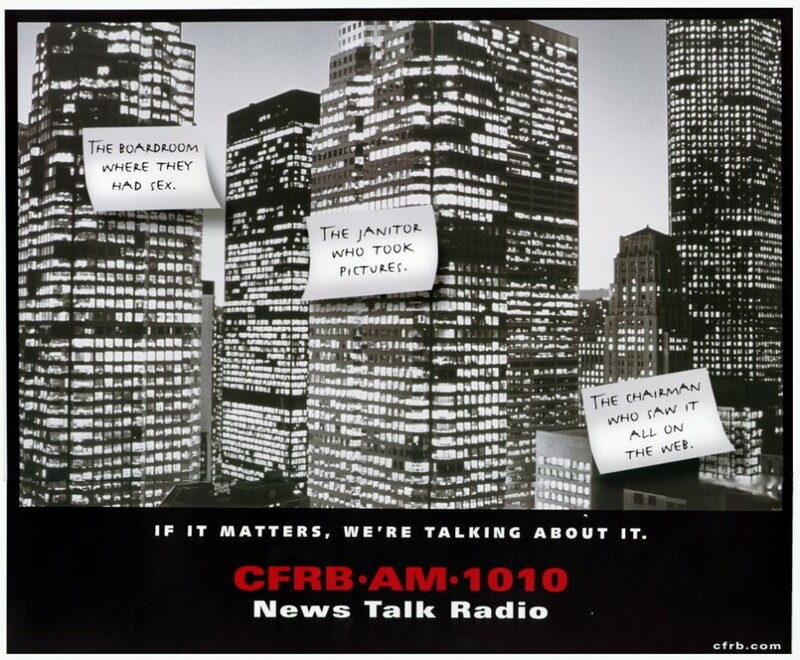 In a series of ads running in major Canadian newspapers, CFRB demonstrates how they get into the details of what’s going on in Toronto and delivers it to their audience in ways other stations just can’t.